Every April, nothing steals hours of my sleep on a work night quite like the latest version of Out of the Park Baseball. 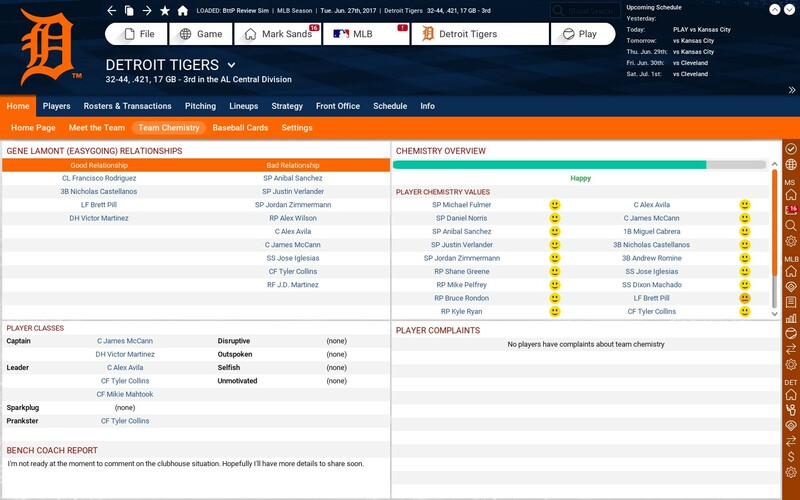 For the uninitiated, OOTP 18 gives you total control over almost any conceivable franchise from the independent leagues in the US (like the Frontier League but alas, again, no Pacific Association!) and Japan, top foreign leagues like the KBO or NPB, or your favorite Major League team. 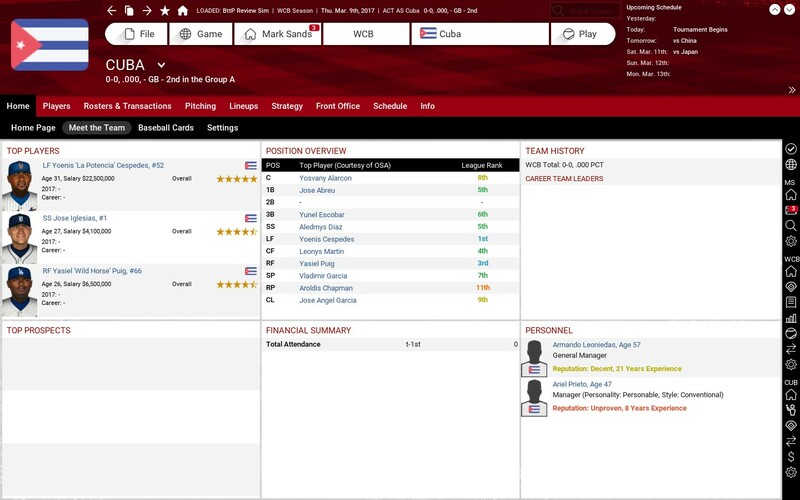 As General Manager, you get to manage your team’s budget, run the draft, sign international players and free agents, scour the waiver wire for hidden gems, and engage in trade talks with an improved AI (though the game still has an annoying tendency to offer really terrible players to you in exchange for your top prospects). At the same time, you can micromanage your minor leagues by moving players up and down levels and even setting lineups for each of your minor league squads or you can delegate that duty to your assistant GM and minor league coaches. As GM you can choose to hire a manager, or take over those duties as well. As manager, you can set lineups and depth charts, choose when your backup players get into the lineup, and set up your bullpen so that your best players pitch in high leverage situations and your worst relievers are relegated to low leverage situations. You can either delegate in-game decisions to your bench coach (I tend to sim a week at a time during the regular season), or take full command during every game; setting lineups, infield and outfield shifts, warming up relievers, and deciding when to bunt (which, of course, should be almost never). The game also features in-season tournaments like a “World Cup of Baseball” and the Olympiad. I started the 2017 season with the WCB taking up the same spot during Spring Training that we all enjoyed this March and having an Olympiad in November 2019 and going every 4 years. Starting as a new standard game, it was somewhat difficult to figure out how to actually take over a team in the WCB. I ended up using commissioner mode and ran Team Cuba, whose roster I built using both Cuban League players and MLB players from the island. Much like the real world tournament, I had a lot of fun playing the WCB as Cuba. After going undefeated through the first and second round, Cuba was able to stave off a tough challenge from South Korea to make it to the championship game against Japan. But after winning 7 games in a row, the Cubans decided they did not need to hit anymore and I dropped the WCB championship 4-2. Another fun feature is the Challenge Mode. Challenge Mode takes away the siren lure of “fixing” things that go wrong during a long season by turning off some settings, for example: commissioner mode and the player and coach editors. In addition, Challenge Mode sets the AI trading difficulty to “high,” which eliminates some of the lopsided trades that you could pull off in prior editions of the game. As part of Challenge Mode, you can set up an online OOTP profile, which allows you to compare your career to players all over the world. This mode also has a large number of unlockable achievements, which I know a lot of people really like. 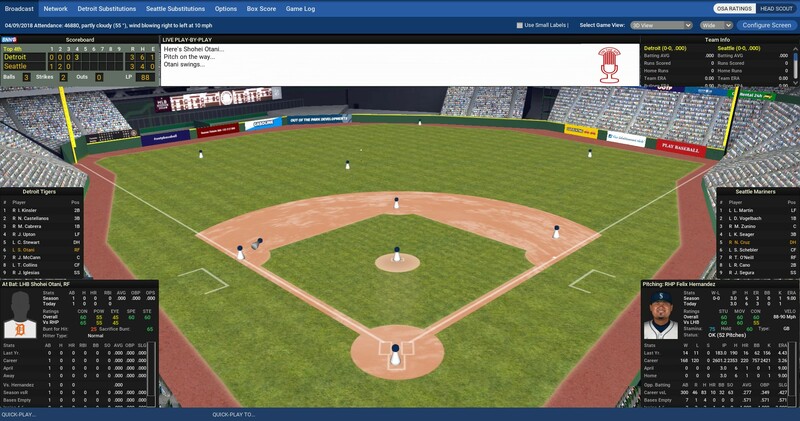 The 3D graphics that display during in-game management have taken another significant step forward from an already improved interface in OOTP 17. There are any number of really neat ambient features–such as fans getting in and out of their seats, sounds of an organ playing and fans clapping along, somebody setting off an air horn when the home team hits a home run, and (perhaps my favorite) playing “Take Me Out to the Ball Game.” More substantially, the players react like actual players–for instance in the picture above Shohei Otani tried to stretch a double into a triple and is shown sliding into third base. 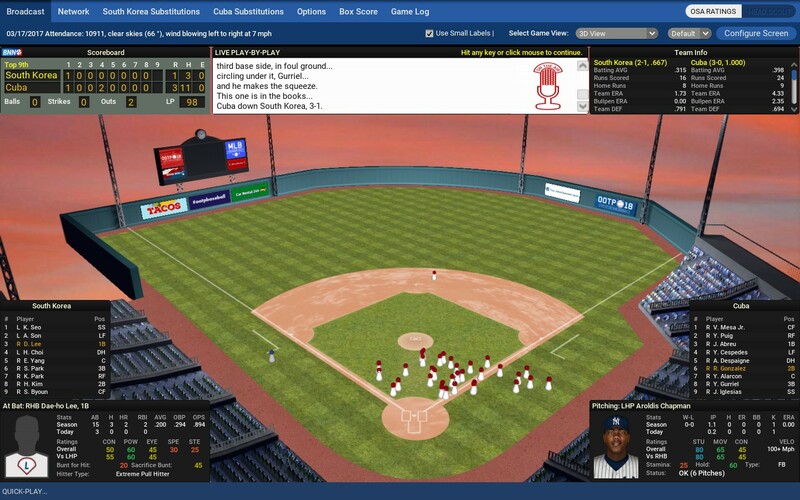 In addition, during the two seasons I simmed, the 3D graphics featured a bench-clearing brawl and a dropped strike 3. All in all, watching the game in 3D mode is a substantial improvement. Another improvement to the game this year is a substantially overhauled injury system. Now, players will suffer injuries that are not necessarily worthy of putting them on the DL, but will have an effect on some facet of the game. For instance, a pulled leg muscle will have some impact on how the player runs, but their batting and throwing will be unimpaired. Also, the game a new team chemistry page, which identifies the leaders and troublemakers in your clubhouse. It also includes team roles such as captain, leader, sparkplug, and prankster; and the potentially disruptive, outspoken, selfish, or unmotivated players on the roster. In all, I am very pleased once again with the quality of the new version of this game. 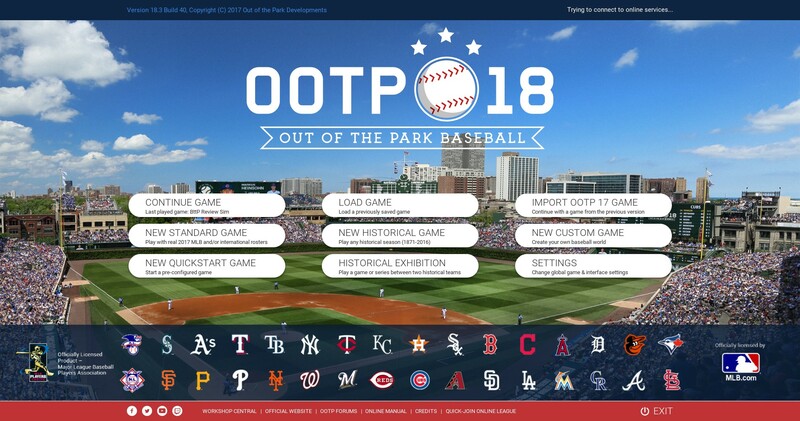 Many developers would be happy enough to slap on new rosters to the same program; but every version of Out of the Park Baseball brings with it new features that dramatically improve the best baseball simulation game. 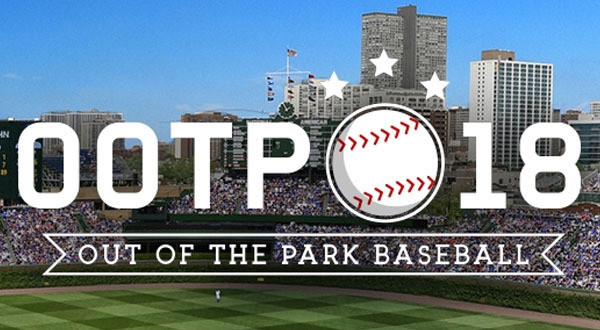 OOTP 18 is no exception; so, I guess it’s time to brew another pot of coffee. Previous post: How Good Is Aaron Loup?